Police have welcomed sentences for four men involved in an “arranged fight” in Telford that left one person with “considerable injuries” from an axe. The men had met up at Ketley Grange Playing Fields in Ketley Bank, for the fight in June last year. One witness said they saw three Samurai swords, and what appeared to be some kind of axe, together with a metal pole. 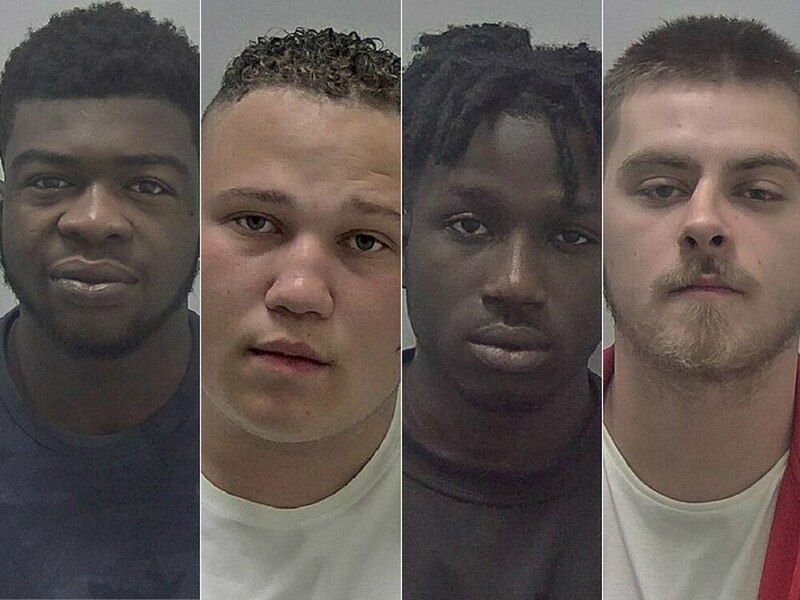 Declan Taverner, 18, of Fifth Avenue in Ketley Bank, Telford; Andrew Prempeh, 21, of Burford in Brookside, Telford; Tyler Love, 21, of Burtondale in Brookside, Telford and Neon Manu, 19, of no fixed abode, were all on trial for the violence, but changed their pleas to guilty on charges of violent disorder. Love was jailed for six-and-a-half years, and Prempeh for four years and three months. Taverner and Manu were both sentenced to three years detention at a young offenders institution for their part in the matter. Love and Prempeh were also sentenced in relation to a separate fight which happened near Shrewsbury’s Fever nightclub in 2017. The court previously heard that they initially faced the earlier violent disorder charge along with Tyrone Dorsett, aged 20, of Priorslee, who was subsequently found fatally wounded in a street in Birmingham on April 15, 2018. All four men must serve half of their terms before being released on licence. Detective Inspector Craig Smith, from Telford CID, said the police would do what they could to make sure people involved in serious violence were prosecuted for their offences. He said: “This was a pre-arranged fight between two groups in a dispute with each other that led to a man being assaulted with an axe and left with considerable injuries. “We simply won’t tolerate this happening in our communities and will do all we can to make sure those who are involved, no matter what part they play, are put before the courts. “I’m pleased the sentences that have been given reflect the seriousness of these offences. “There is no place in our town for those involved in serious and organised crime. When handing down the sentences Judge Anthony Lowe said such behaviour would not be tolerated. He said: “This was an appalling act of pre-planned violence which took place in broad daylight in June 2018 in a residential area. “One witness describes seeing three Samurai swords, and what appeared to be some kind of axe together with a metal pole. A spokesman for the police explained how they have a dedicated programme to tackle the kind of violence the four had carried out. He said: “Protect is a campaign being run by West Mercia Police alongside a range of partner agencies to tackle serious and organised crime (SOC).